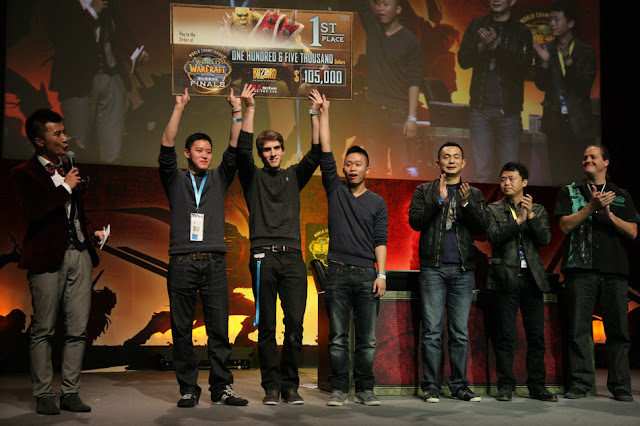 Held recently from the 17th to 18th of November in Shanghai, the annual Battle.net World Championships has once again showcased the best of the best talents competing in the World of Warcraft Arena Global Finals. This year around, after quite a flawless performance at the start sweeping off Double G, AHQ eSports Club, and Yaspresents, they maintained their lead into the competition as they reached the finals. Competing again with Europe’s Yaspresents, the North American team predictably muscled their way through securing themselves the title of '2012 Global Champion' along with a whopping $105,000. Congrats!